1. Expensive: If you’re going to run the Tough Mudder, register as early as possible or wait for a Groupon. It is an EXPENSIVE race, and on top of the race fee they tend to nickel-and-dime you. Someone is making a lot of money here, though hopefully it’s the Wounded Warrior Project. 2. Worth it: That said, I think it was worth the money I paid. It was so much fun, an unforgettable experience. 3. Heat Time: Registering early will also ensure that you get to pick as early of a start time as possible. This is important for several reasons. First, you get a fresh course. There is still grease on the monkey bars, for example. But more importantly, if you are in the early heats, you don’t have to stand in traffic jams at obstacles. You can breeze through without waiting for stragglers from previous heats. This is especially important if you are hoping to qualify for the World’s Toughest Mudder. 4. Photos: If you want good pictures of yourself, bring someone along. For a spectator fee ($15), they can walk throughout the course, meeting you at key photo ops and taking pictures. Tough Mudder contracts professional photographers to take pictures of participants, but they tend to only focus on certain points in the race and certain heats (the early ones, I think). I had to dig through thousands of pictures online to find the 2 pictures they took of me, both of which were rubbish. And the prices for the prints were pretty outrageous, but I suppose a lot of people are willing to pay. 5. Gear: I wore a pair of North Face hiking shorts, which dried pretty quickly. No shirt. I wore goggles on my forehead, which were indispensable. 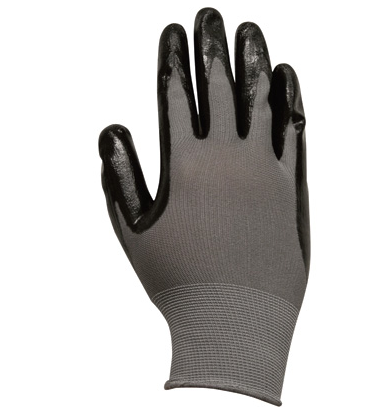 I carried latex-coated Grease Monkey mechanic gloves ($3) with the fingers cut off in a zipped pocket of my shorts. I don’t think they were necessary, but if you want to wear gloves, these took good care of my hands on the ropes and monkey bars. 6. Training: I was probably overtrained when it came to the obstacles, and undertrained when it came to the distance. Do a lot more running if you are training for this, since it is primarily a race. I think a person could do this course with little training other than long-distance running since you can get help on most of the harder obstacles. No one, however, can help you run. 7. Toughest Event on the Planet? Probably not. 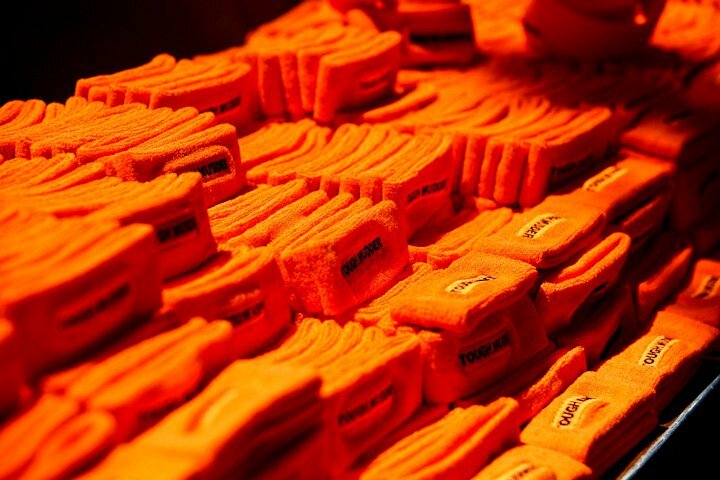 The World’s Toughest Mudder might be. But it is great marketing for an unforgettable experience. So get some friends and go for it! This entry was posted in Adventures, Fitness, Tough Mudder and tagged tough mudder by Justin. Bookmark the permalink. Very cool Justin. Sounded like a lot of fun. I’m thinking about it for next year.